There is no denying Cate Blanchett’s magnetism. 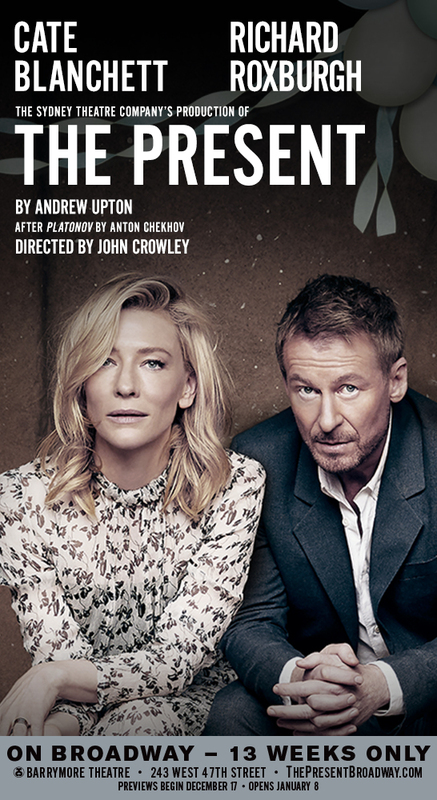 As the fading trophy wife Anna in Andrew Upton’s The Present (a modern adaptation of Chekhov’s Platanov), Blanchett exudes power that often doesn’t translate onstage from movie stars attempting to tackle live theater. 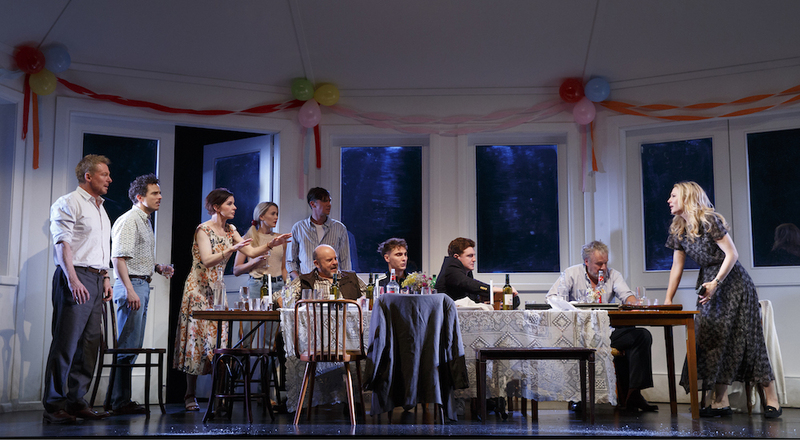 But those familiar with Blanchett’s body of work know that she is a longstanding member of Sydney Theatre Company, where she received critical acclaim for her performance as Blanche DuBois in A Streetcar Named Desire. Along with Upton, the couple served as co-artistic directors from 2008-2012, and it is with deep commitment and understanding of the art form that Blanchett and co-star Richard Roxburgh lead an ensemble of exceptional actors through a ringer of unrequited love, political corruption, and unraveling friendships. Chekhov’s older brother, Alexander, wrote to the young playwright, “You know yourself that your play is a lie; you felt it too, but only instinctively, not clearly enough.” Upon his death, Chekhov’s sister, Maria Pavlovna, secured the draft in a safety deposit box and there it remained until Soviet literary scholar Nikolai Belchikov published it in 1923 without much fanfare — it would be five years before the play was even produced. 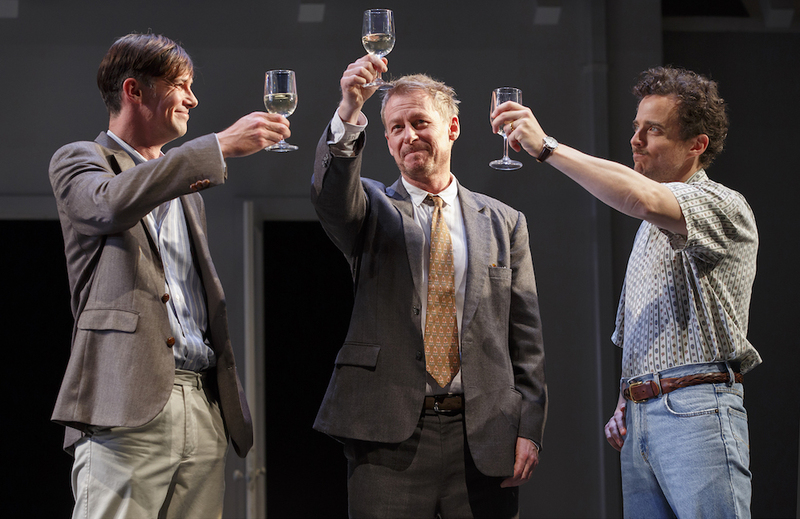 Upton’s adaptation jolts the play into the mid 1990s post-perestroika Russia. The nuanced shifts in the political system may be lost on those without an understanding of the Cold War or the country’s rise of oligarchs. 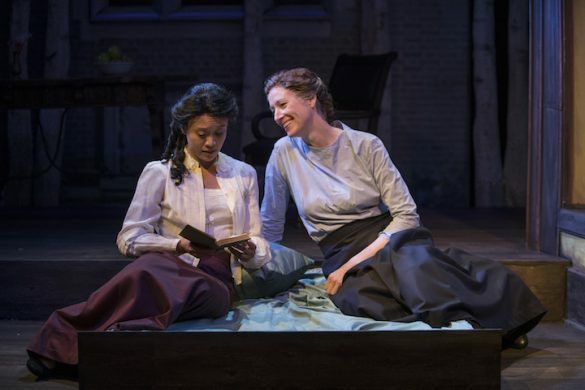 But where there’s a Chekhov play there’s bound to be a squabble over an estate or other relatable tensions. Anna has gathered friends and neighbors to celebrate her 40th birthday, including a trio of male friends that anchors the supporting players. Mikhail (Richard Roxburgh) arrives with his wife Sasha (Susan Prior). A soured schoolteacher, Mikhail has unhappily settled into country life as his attraction toward Anna simmers at every turn. Nikolai (Toby Schmitz) also pines for Anna, but brings his young girlfriend Maria (Anna Bamford) as an unsatisfying substitution. And then there’s the nebbish Sergei (Chris Ryan), the son from her deceased husband’s first marriage, and his newlywed Sophia (Jacqueline McKenzie) — who also has a past with Mikhail. Yes… it’s the stuff that a Molière comedy could be made of, but in this case slamming doors are swapped for guns. Life breaks you. It picks you up and shakes you like this. And then you are left, standing. It has gone through you like a train. Life. Boys. LIFE? What is it?… When a man is born he goes on one of three paths, that’s it – one, two, three. To the right – wolves will eat him up. To the left – he will eat the wolves. The same wolves. Or straight. Down the middle? – you eat yourself. The party moves into the summer folly, a garden cottage that Anna has rigged with dynamite. Copious amounts of vodka are consumed and past lovers rekindle the flame. I want you to live. Just live. Embrace life don’t worry and don’t judge yourself and others and keep seeing the problem and stewing on your failures or your missed opportunities or your stupidity — of which there seems to be an endless supply. But live. Stand and embrace life and go where it takes you. Forward. Upward. Onward. We mustn’t be like this. You mustn’t be mean. Listen – it’s just a whole lot of mistakes. Yours. Yours. His, hers. Other people who aren’t even here. People who are dead. People who are long dead. All of us. Me. Just. Don’t be mean. To her. To me. To your friends. It’s not their fault. It’s not your fault … it’s a great big … endless … problem. For all of us. The “endless problem”… perhaps it’s love: our quest, our consumption, our addiction, and ultimately our destruction. This is Chekov’s gift to the theater, and The Present’s stark reimagining of an age-old struggle.